The 10 Best Educational Activities for Children in Montana! A crossroads of frontiersmen, geological events, and myriad National Park wilderness, the inland Northwest has a lot to teach you. These eccentricities manifest most fully in Montana, a veritable playground of landscapes, histories, and peoples. This rich environment provides fertile soil for both inspiring and nurturing young minds. Here are the 10 best educational activities for children in the state. This museum (MOTR) is singular indeed. It’s an affiliate of the Smithsonian, with an unmatched paleontological pedigree and a top-notch facility. The grounds house several hundred thousand items and the historical allure blankets the area in a sense of scientific wonder. Even if the permanent exhibits can’t satisfy, six times a year, the MOTR hosts Family Days, geared towards kids and young teens. 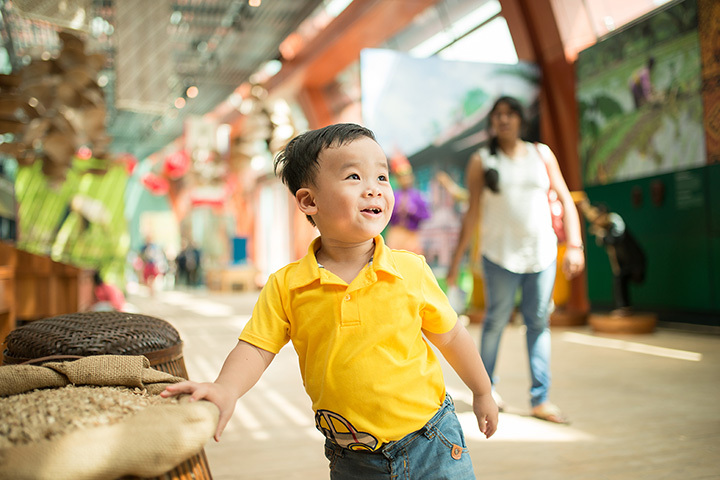 Among a host of extracurricular activities and classes, the museum hosts two-hour immersions into awesome exhibits including dinosaurs, Western geology and Cowboys & Indians. Stretching across central and eastern Montana, the Dinosaur Trail joins several notable museums and a host of dino-centric communities whose history has been carved by the discovery and excavation of fossils galore. From the nationally-sought Museum of the Rockies in Bozeman to the tiny Carter County Museum in Ekalaka, the stops are as educational as they are plain entertaining. And perhaps the most memorable part of the trail is the trail itself. Hopping from town to town, delving into a seemingly fantastical past, makes a child of anyone. Like many centers for the arts, particularly in more rural regions of the country, NOVA provides invaluable opportunities, hosting a number of camps and classes focused on performing arts and community involvement writ large. Several times a year, the Youth Conservatory nurtures and hones interests in theatre, dance and stage design, culminating in productions created/produced entirely by students (ages 5-18). For the supremely passionate, the center also hosts semester-long courses in voice, acting, dancing, et al, for any age range. When history, science, sports or food aren’t thrilling for a child, perhaps the arts are the remedy. If any educational opportunity is to make a meaningful impact, it must inspire. It must engender some sense of wonder, of awe, of welcome surprise. And the kaleidoscopic reflections from the walls of these otherworldly caverns do just that. Montana’s first state park, Teddy Roosevelt named this limestone labyrinth a national monument on the same day the as Grand Canyon. Something out of the imagination of HR Giger, over 3,000 acres of stony catacombs surround tour-goers, an eerily-vibrant system of speleothems—stalactites, stalagmites and other cave deposits, simultaneously alien and of this planet. The Wild Cave tours are the way go: for $30, a guide leads cave expeditions with authentic headlamps providing the only light. For 15 years, the Bozeman Children’s Museum has committed itself to education and intellectual stimulation. Interactive exhibits, hands-on classes and summer science camps all provide a crop of opportunities for the interested mind. Thousands of yearly visitors have codified this complex into a necessary stop for families and tourists alike. Another laser-focus of the museum is STEM (Science-Tech-Engineering-Math): a number of courses (evening science labs, for example) and competitions entice all ages and work into families’ and students’ busy schedules. As a locus of intellectual curiosity, creative expression and community involvement, MSU has cemented itself as a pillar of children’s education in the region. The access to resources and facilities, and the sheer number of people and departments on the campus inevitably lead to a wealth of opportunities for any curious individual, let alone children. Refer to both the performing arts calendar and respective academic departments’ webpages for event details. Some children love the tales of history. And some love ghosts. Possible paranormal experiences at the Old Montana Prison provide both. A fascinating museum in its own right, this Western prison complex housed a number of famous criminals. Its history attracts lovers of the Old West, of Montanan traditions, of prisoners and their stories. And, in the last decade or so, the complex has attracted those seeking-out the paranormal. And it’s easy to understand the allure. The ominous vibe has a palpable tenseness: the intimidating, brick-encased environs couldn't be any colder, any less alive. Sounds of all sorts echo the stone halls and ring into infinity the machinations of felons past. Approaching its third decade, this community lynchpin happened by accident. Owner Jim Caron, an unemployed actor, found himself stranded in Montana on the way to the west coast. Waiting for car repairs, on a whim, he auditioned for small role in a local troupe. He got the part, organized with his fellow actors, and developed a humble organization of producing local theatre and instruction. It’s this grassroots, MacGuyver-style organization that propels this theatre: it’s all about having fun and making art in a casual atmosphere. Classes for children and parents enable family-friendly artistic expression. Cradled by McCormick Park in downtown Missoula, MOBASH is one of the five best skate parks in the country (according to Amazing Gridline). Thanks to the collaboration between the city and actual skaters, this 15,000-square-foot slab of beautiful concrete features smooth ledges and a good variety of bowls, street and transition sections. Even Tony Hawk gave his seal of approval during the 2006 grand opening. The park’s quality and varied terrain, and the fact that it’s lit all night, makes for skating ecstasy 24-7. And the central location and nearby shops mean accessibility for all ages and equipment within walking distance. Helmets required. The Young Men’s Christian Association, though less an overtly religious organization these days, remains a community cornerstone for today’s (and yesterday’s) youth. Not only does the YMCA provide facilities for daily activities that are fun, productive and healthy, but it serves as a mentoring and educational center aimed at lifelong betterment. Per common knowledge, The Y has all the bells and whistles of a great gym: plenty of room to swim, play basketball, do yoga, rock climb, lift weights and take spinning classes. But lesser known is their wealth of supplementary classes, events and summer camps. The latter is a hallmark of the organization. Kinder, Youth and Traditional camps keep the kids “safe, moving and learning.” But lest this slogan sounds boring: these camps can include cooking, scuba diving and rocketry!